Photographed by Peter Nguyen. Hair by Peter Gray. Padina Bondar: winning design from In Your Genes Challenge. 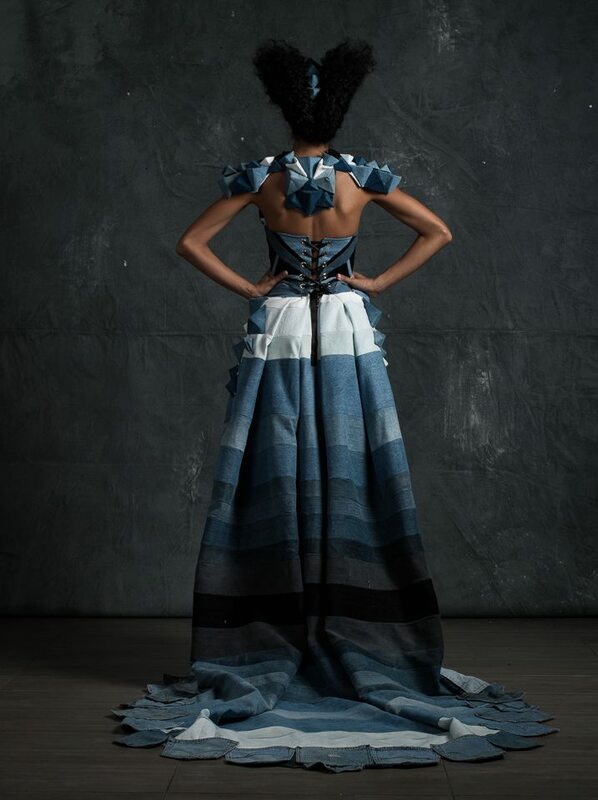 25 designers created couture looks out of 1000 pounds of recycled jeans. In partnership with global leader in sustainable beauty products Aveda and global charity WaterAid Canada.